This week, we tackle two commonly misunderstood design terms: ‘environmental graphic design’ versus ‘experiential graphic design’. What’s the difference? When people hear the term ‘environmental design’, they often assume it relates to designing green-star rated buildings or eco-resorts. It’s the reason environmental graphic designers began calling themselves ‘experiential graphic designers’ five years ago. To make matters more confusing, lots of people have embraced the ‘experiential design’ label. There’s a new breed of experiential marketing and UX agencies, plus a deluge of job titles like ‘customer experience designers’. Meanwhile, lots of studios – including ours – are still using ‘environmental’ and ‘experiential’ design interchangeably. What’s going on? In the early ’70s, a group of designers formed the Society for Environmental Graphic Design (SEGD). They wanted to raise awareness of a field of design that embraces several disciplines (graphic, architectural, interior, landscape and industrial design) to tell stories through the built environment. We’re proud to say BrandCulture was one of the first environmental graphic design studios to launch in Sydney. We began life as a branding agency in 2003. But when we saw how clumsily brands were being applied to the built environment, we soon evolved into environmental graphics and wayfinding. In 2013, SEGD rebranded as the Society for Experiential Graphic Design. The goal was to stop this branch of design from being confused with the environmental movement, while carving out a niche as designers who create experiences that connect people to place. ‘Experiential’ encompasses all communication in the built environment and utilises a mix of design skills: wayfinding, placemaking, exhibition design, industrial design, architecture, research and master planning. Some people claim that experiential graphic design (EGD) simply brings together other design disciplines under one umbrella. Therefore, it isn’t a discipline in its own right. Others remain loyal to the term ‘environmental graphic design’. They point out that people have been designing ‘experiences’ for millennia – far longer than the EGD profession has existed. 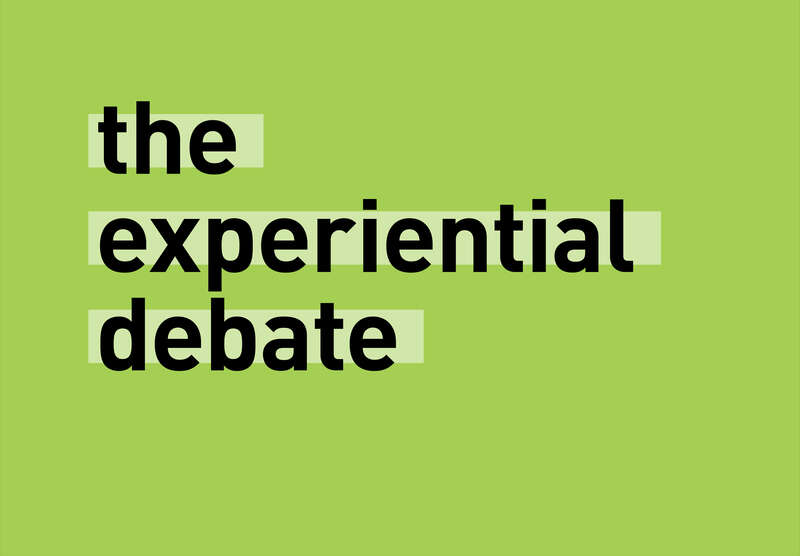 As such, they dismiss the word ‘experiential’ as a fad. At BrandCulture, however, we’re confident that experiential graphic designers really do bring specialist skills to the table. We are experts in spatial problem solving and information design. We understand how people make decisions in built environments. We can analyse traffic patterns and flow. We bring an understanding of both the macro (architectural) and micro (finite details and industrial design) to every brief. These are skills that most other design disciplines simply don’t have under one roof. We still use the term ‘environmental design’. But today, we are proud to define ourselves as an experiential design studio. For us, it means tapping into our core design disciplines to deepen brand engagement across physical spaces. As specialists in connecting people to place, we’re part of a movement that’s raising awareness of the value of experiential design around the world.